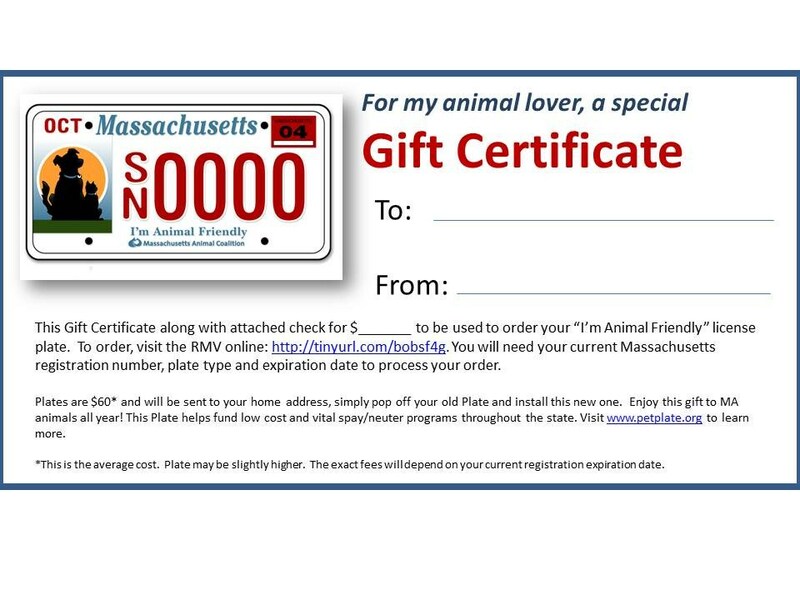 Imagine giving something that would be truly appreciated all year, not only by the recipient, but also by THOUSANDS of animals across MA that benefit from the “I’m Animal Friendly” license plate. 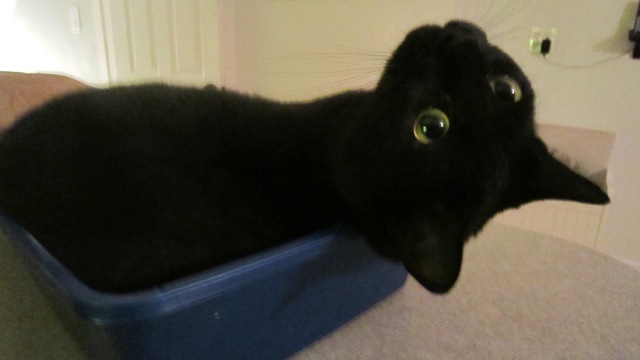 That’s what happens when you give the gift of an “I’m Animal Friendly” Plate. Simply print out attached Gift Certificate, then attach a check. The recipient then logs onto the RMV website (http://tinyurl.com/bobsf4g) and orders their new plate: no need to go to the RMV, everything is done online, and plates are sent by mail. It’s easy, and it’s something they’ll appreciate every time they drive. Animals all over Massachusetts will thank you.